Any planned road or footpath closures that we are aware of will be published here. 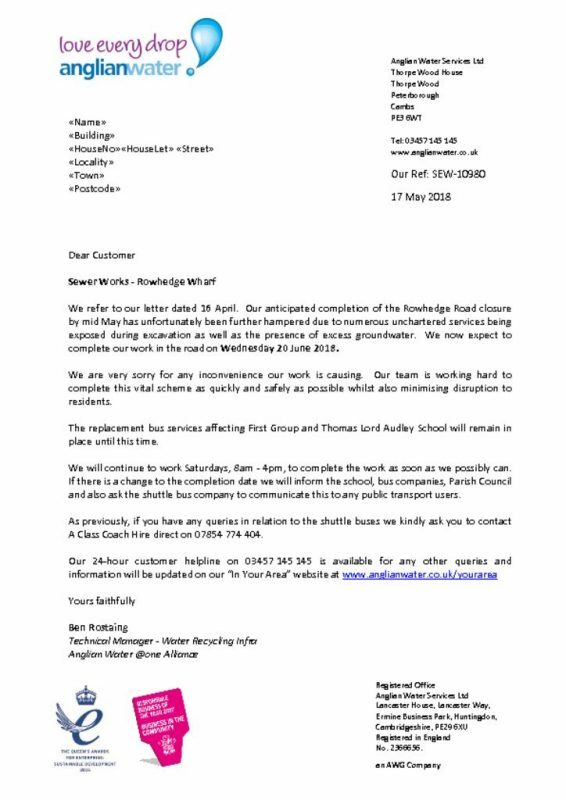 High Street; Please click on the following link https://roadworks.org?tm=109153327 to find details of the intended closure of High Street, due to commence on 7th January 2019 for 3 days. The closure is required for the safety of the public and workforce while UK Power Networks undertakes remedial works to rectify defect in sunken trench in the carriageway. 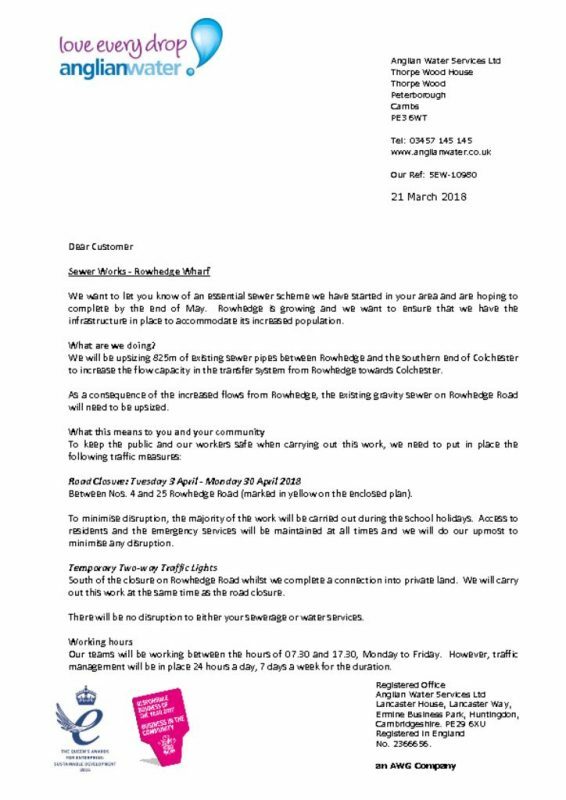 ROAD TRAFFIC REGULATION ACT 1984 – SECTION 14(1)Temporary Traffic Regulation Order of Regent Street, Rowhedge.Please click on the following link https://roadworks.org?tm=105735536 to find details of the intended closure of Regent Street, due to commence on 23rd May 2018 for 3 days. The closure is required for the safety of the public and workforce while Essex County Council undertakes Road Marking Replacement. 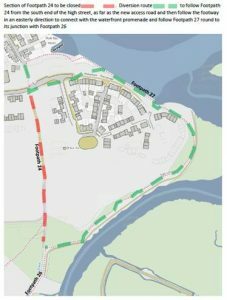 ROAD TRAFFIC REGULATION ACT 1984 – SECTION 14(1)Temporary Traffic Regulation Order of Taylors Road, Rowhedge.Please click on the following link https://roadworks.org?tm=105735517 to find details of the intended closure of Taylors Road, due to commence on 22nd May 2018 for 3 days. The closure is required for the safety of the public and workforce while Essex County Council undertakes Road Marking Replacement. Temporary Traffic Regulation Order of Weir Lane, East Donyland. 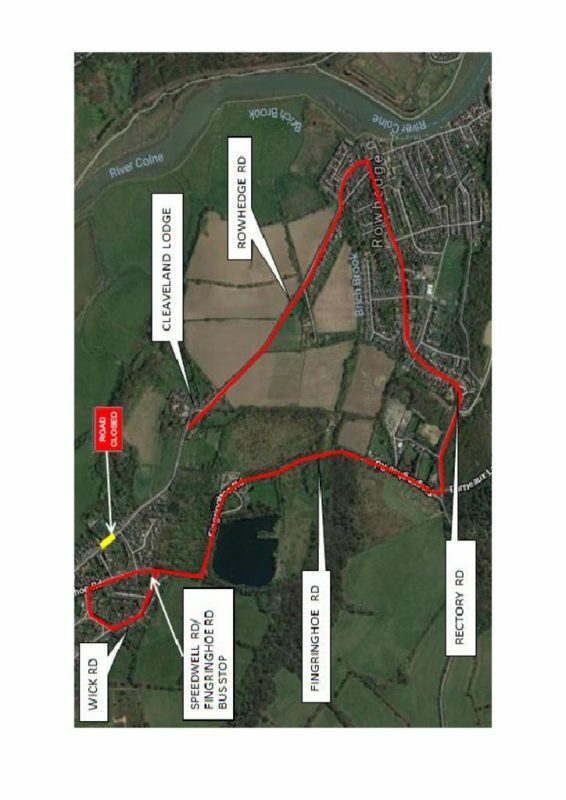 Please click on the following link https://roadworks.org?tm=105657406 to find details of the intended closure of Weir Lane, due to commence on 28th August 2018 for 7 days. The closure is required for the safety of the public and workforce while Anglian Water undertakes water connections. For an up to date list of planned road closures for events across the borough, or to find the application form for road closures, please click here to visit Colchester Borough Council’s webpages.